To those who’ve made the effort to cultivate their spiritual nature and who’ve learned to see beyond the five sense reality that has most of us isolated in the material world, it is clear that enlightenment and higher states of consciousness are part of our original human nature. Our birthright. The fact that so many of us typically remain in contemporary consciousness is a sign that we’ve somehow been led astray, or spiritually dumbed down. Enlightenment is a concept that is at once appealing to almost all people, while at the same time seemingly unattainable to most people. We are naturally drawn to the idea that we can live a life of peace and universal love, finding happiness and joy in even the most mundane or startling moments in life. Yet, as seekers, we so often look at enlightenment as an elusive prize that is rewarded to only the most dedicated and ascetic spiritual masters. Always just beyond our reach. 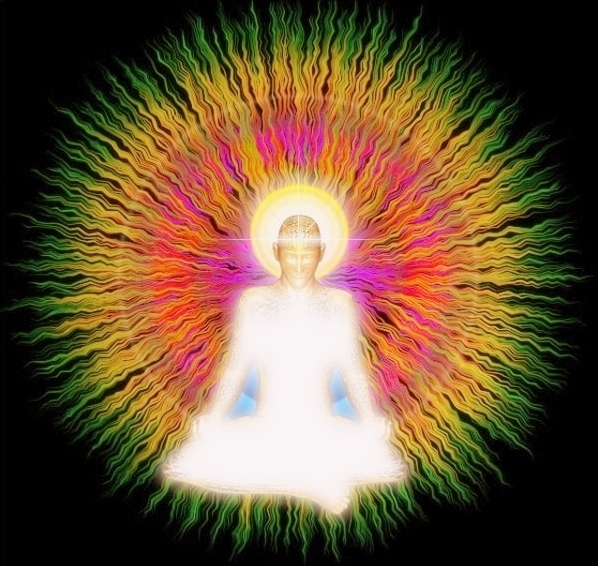 The reality is that the human being is born fully equipped to enjoy all of the spiritual riches experienced by the greatest of history’s sages, but, we live in a climate that reduces our ability to attain spiritual wisdom by polluting our bodies and our minds with toxic substances and ideas that take us further and further from truth, and deeper and deeper into lower states of awareness. For those who’ve explored the abundant information available on the dominant power structures present on earth at this time, there is evidence of a clear link between many of the factors that limit our spiritual awareness and the aspirations of the global elite. Those in power remain in power because the vast majority of people are unaware of their own personal power, and therefore limit their potential in accordance with the traps and routines set by the elite. An awakened person is a free person, someone who has been liberated from the fear of living life to the fullest. An awakened population is simply impossible to contain and control, and as individuals we must strive to awaken ourselves to this powerful realization. This is the elite’s greatest fear, having a world full of minions who no longer behave as such. 1. DO NOT CONSUME ANY FLUORIDE, EVER. 2. DO NOT CONSUME ANY ASPARTAME, EVER! 6. RE-EVALUATE THE VALIDITY OF POPULAR OPINION. 7. LOOK WITHIN YOURSELF TO DISCOVER WHO YOU ARE. 8. KEEP A REGULAR SPIRITUAL ROUTINE. 9. DROP ALL THE JUDGEMENTS YOU HAVE AGAINST THOSE WHO ARE NOT READY TO MAKE THE SAME CHANGES YOU’RE MAKING. 10. LET ENLIGHTENMENT BE YOUR NUMBER ONE PRIORITY! With these simple guidelines, it is my hope that you will find inspiration and assistance in your journey to enlightenment. Dylan Charles is a student and teacher of Shaolin Kung Fu, Tai Chi and Qi Gong, a practitioner of Yoga and Taoist esoteric arts, and an activist and idealist passionately engaged in the struggle for a more sustainable and just world for future generations. He is the editor of WakingTimes.com, the proprietor of OffgridOutpost.com, a grateful father and a man who seeks to enlighten and assist others with the power of inspiring information and action. He may be contacted at wakingtimes@gmail.com. This entry was posted on June 15, 2014 by Sanatan Dharm and Hinduism in HINDUISM SCIENCE and tagged ENLIGHTENMENT.